With growing eSIM support Apple was basically there, but rumors of a dual SIM iPhone make for a surprising turn towards user-friendliness. 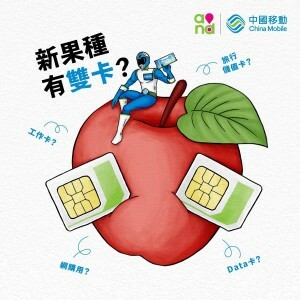 An image posted on China Telecom’s Facebook page effectively confirms that such a model is on the way. It might be just one of the new 2018 iPhone models – analysts believe it will be the one with a 6.1” LCD, the most affordable of the three. However, look at the dual SIM – it’s different than the one that was photographed earlier. 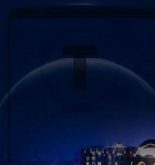 So, there may be at least two dual SIM models. Either way, early reports suggest that this dual SIM functionality will be exclusive to China. 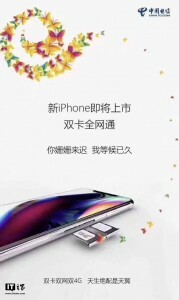 The dual SIM card tray will be backed by a capable modem, supporting dual 4G connectivity and covering China Telecom’s various network types. 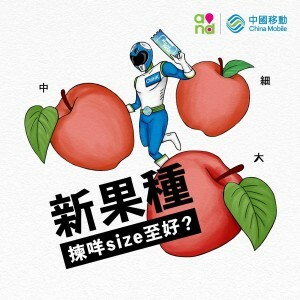 China Mobile will also offer dual SIM iPhones as it hints with this cheeky image that it posted on its Facebook page. Dual SIM or not, it will have all three models on offer. The 2018 iPhones will be unveiled on September 12 (this Wednesday). We expect to see the Apple Watch Series 4 and perhaps a new iPad Pro.